Rotten, missing or broken expansion joints leave gaps in your driveway which, for safety reasons, need to be replaced before you or anyone else gets hurt because of a trip and fall hazard. 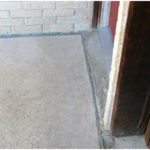 All of our commercial customers and most of our residential customers are keenly aware that trip and fall hazards associated with empty or dangerous expansion joints could involve you in a trip and fall lawsuit. 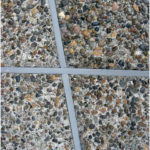 SlabGasket mitigates the trip and fall hazard associated with empty gaps in the pavement, whether a driveway, sidewalk, plaza or pool deck. Be sure when you select a product to solve this problem that the product is designed to withstand pressure associated with high heels, walkers, canes, wheelchairs, or scooters, as well as childrens toys such as skateboards, ripsticks, or bicycles. No other competing product is as safe as SlabGasket.